A musician who lectures at Wrexham Glyndŵr University is celebrating after his band were shortlisted for one of Wales’ most prestigious prizes. 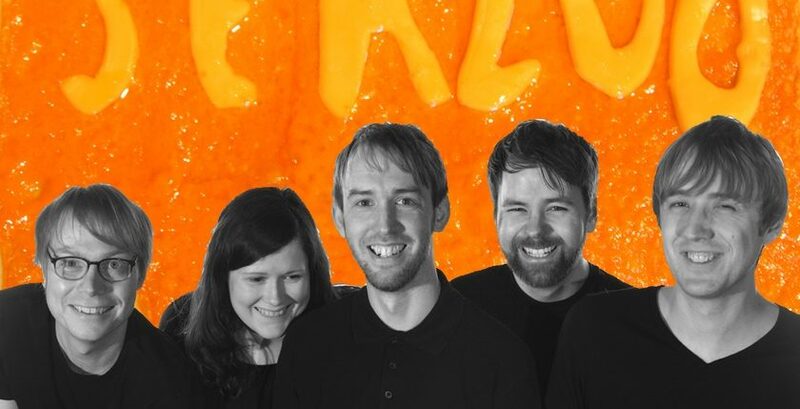 Steffan Owens, programme leader on the University’s Sound Technology course, discovered last week that his band Seazoo were among the finalists in the Welsh Music Prize 2018. The Wrexham-based band’s latest album, Trunks, was released earlier this year to critical acclaim with the band’s ‘off-kilter indie pop’ being compared to Pavement, Grandaddy and Super Furry Animals – whose Gruff Rhys they are up against for this years’ prize. “It’s been a great year for Seazoo and hearing we have been shortlisted for the Welsh Music Prize is yet another highlight,” said Steffan. “As a band, we’ve had really good support in the Welsh music industry this year – whether that’s securing radio play on the BBC or picking up gigs at festivals like Focus Wales. “That music industry experience really helps with my lecturing too. “Seazoo have actually played at the university already – we recorded a Glyndŵr TV session, where we play live and students record the performance – which helps them gain experience in using the latest in television and audio technology. “As a university, we are regularly investing in new equipment – our recording studio was upgraded over the summer with a new Audient mixing desk. The Welsh Music prize – now in its eighth year – will be announced on November 7. Alongside Seazoo, artists including the Manic Street Preachers, Gwenno, and Gruff Rhys. Find out more about Glyndŵr’s BSc Hons Sound Technology course here. Read 1,246,524 times in last 30 days, and 73,800,636 times since we started in 2011.